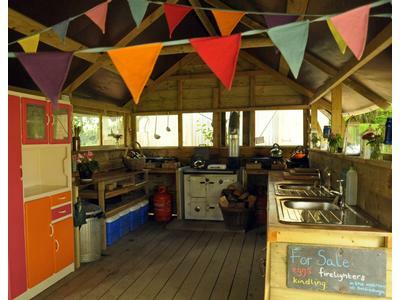 The cosy under canvas glamping site is situated in four acres of beautiful woodland and water meadow in the heart of the Welsh/English borders countryside, just a stone’s throw from the popular market town of Hay on Wye. 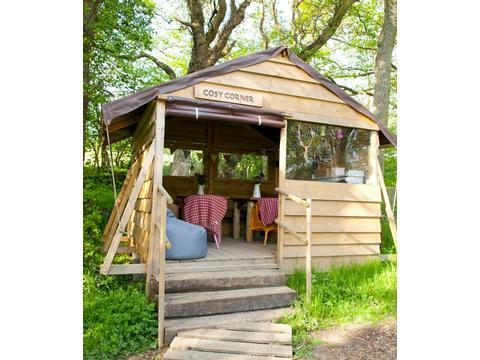 Award winning Cosy Under Canvas is a woodland glamping site that lends itself to a relaxed, alternative break away from the trappings of a hectic life. It is perfect for those who love the idea of a unique, low impact and environmentally friendly camping holiday with everything provided. 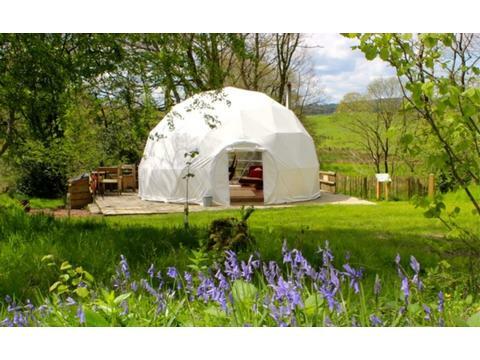 There are 5 spacious domes and 2 cosy domes, set on wooden platforms each with a private fire pit and stylish wood burning stoves that can be stoked up to keep you toasty at night on those sometimes chilly summer evenings. Keep warm under the thick feather duvets, contemporary Welsh blankets, throws, sheepskins, and crisp bedding, plus there are beanbags and fluffy rugs, It’s peaceful, relaxing and comfortable. Each cosy dome (ash and willow) is 5m diameter and comfortably sleeps four adults, two on a double or king size bed and two on futon mattress. All beds have memory foam toppers for extra warmth and comfort. There's a chiminea on the deck that's great for toasting marshmallows or even your toes after an adventurous day out. 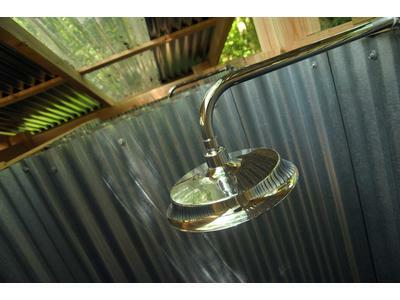 Ash dome has exclusive use of a wood-fired hot tub, perfect for steamy nights under the stars. The spacious domes (holly, beech, oak, hazel and rowan) are 6m in diameter, 4m high. They sleep up to 4 adults comfortably and 5 or 6 if you’ve got the kids with you. Two sleep on a comfy double or king size bed, made from locally sourced wood and the extras on raised futon beds. The domes holly, oak, hazel and rowan have exclusive use of a wood-fired hot tub, perfect for steamy nights under the stars. Huge comfy beanbags can be used outside on the deck if you like. There’s a fully kitted, shared camp kitchen, and cosy corner with everything you need to make the most of time out, chilling out and hanging out. There’s something to keep everyone entertained whatever their age. Children will enjoy following the trail round the site to the feely boxes, swings and den and using the activity book for ideas of woodland games to play. If there’s a big group of you set up a giant Jenga, boules or a cards competition or get creative with the crafty bits and bobs in the cosy corner. We welcome your pets too. Located on the England/Wales border five miles from historic book town of Hay on Wye in a lovely secluded woodland. 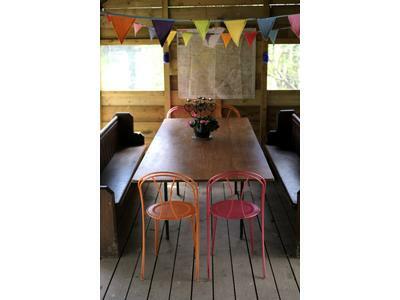 Try horse riding, climbing, canoeing, caving, orienteering, walking, hiking or just chill out in the hammock in the woods. Contact Emma Price for Enquiries and Availability.